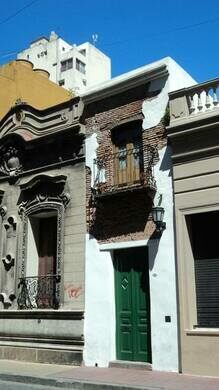 As you walk down Pasaje San Lorenzo in the San Telmo district of Buenos Aires, keep an eye out for house number 380. It’s a charming sight, but such a sliver of a building that you could easily miss it. 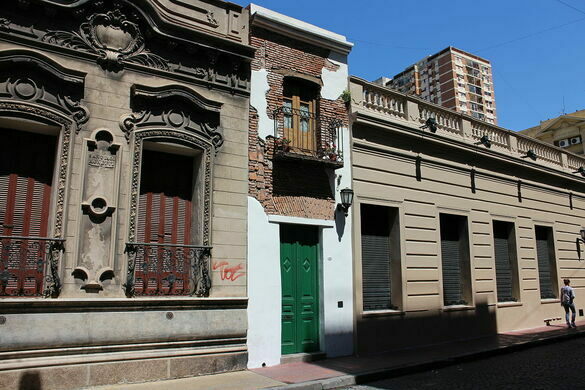 The tiny home, known as La Casa Mínima, is the narrowest in the Argentine capital. According to local legend, it was once owned by a freed slave. At its widest point, La Casa Mínima measures just 8.2 feet (2.5 meters) across. 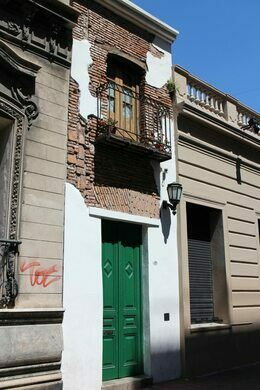 Its façade is marked by an old wooden door, painted green, above which sits a miniscule second-floor balcony. The house is painted white, with some of the original clay bricks poking through where the paint has peeled away. In terms of depth, the house extends a comparatively generous 42 feet (13 meters) from front to rear. 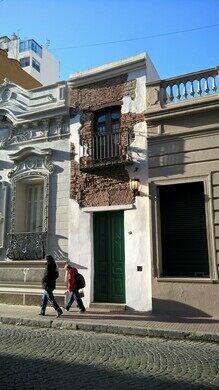 Still, it remains a notably narrow slice of Argentine architecture. Locals, and in particular local tour guides, tell a widely repeated tale about the building’s history. 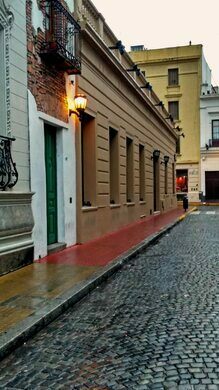 This popular account claims that La Casa Mínima was a gift from the Urquiza family to one of their former slaves. The tiny house was supposedly given to the African slave in 1813, shortly after his liberation. A lack of any supporting evidence isn’t the only problem with this story. It’s true, and perhaps just a little too coincidental, that gradual abolition was introduced in Argentina in 1813, when the Free Womb Act was introduced, “freeing” all babies born to slave mothers. However, slavery wasn’t truly abolished in Argentina until 1853; Buenos Aires had to wait until even later, in 1861. The idea, therefore, that a freed slave might be given a home, albeit it a tiny one, in Buenos Aires in 1813 seems unlikely, but the story has helped maintain interest in the building, and, more importantly, has done its part in raising awareness of the history of slavery in Buenos Aires and Argentina. According to actual historical studies of La Casa Mínima, including its owners and inhabitants, the building’s history is far more prosaic. Originally, the building in which La Casa Mínima now stands was once a single home measuring a respectable 52.5 feet (16 meters) wide. Over time, however, it was slowly divided up to be rented out or sold off to various inhabitants. Thanks to some particularly bad math and dubious planning, the owners managed to end up with an extraneous slice in the middle. Rather than try to rectify the matter by including it in one of the neighboring homes, they decided to turn it into a standalone abode: the narrowest of its kind in the capital.